Lo-Bak Trax portable spinal traction device is the fast, easy and effective way to help relieve low back pain with daily use. Helps to take pressure off the spine, discs, and nerves. Easy to use just lay on your back, bend your knees and push. The secret is Lo-Bak Trax dual traction force which pushing your lower body and upper body away from each other resulting in traction taking pressure of spine, discs and nerves. Bending your knees and pulling up your feet causes the curve in your low back to flatten which makes it easier to traction or stretch the spine and discs. Pushing your hips toward your feet decompresses or traction the spine and discs. Designed to help spinal degenerative joint disease, herniated discs, muscle spasms, spinal stenosis, lower back pain and sciatica. 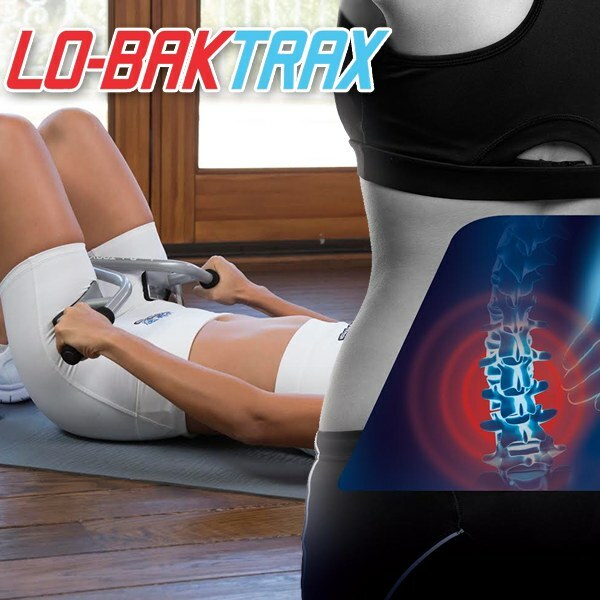 Say goodbye to low back pain with Lo-Bak Trax. Includes Lo-Bak device and 1 DVD. My LoBac Trac not received in this delivery. Please assist me!! I bought this for my 90 year old father who has mobility problems some of which relate to low back pain. He no longer has low back pain. His mobility has improved due to his use of this product, and of course the no pain. It is a win-win.